Happy Friday, everyone! I hope you’re all having a great start to your weekend! 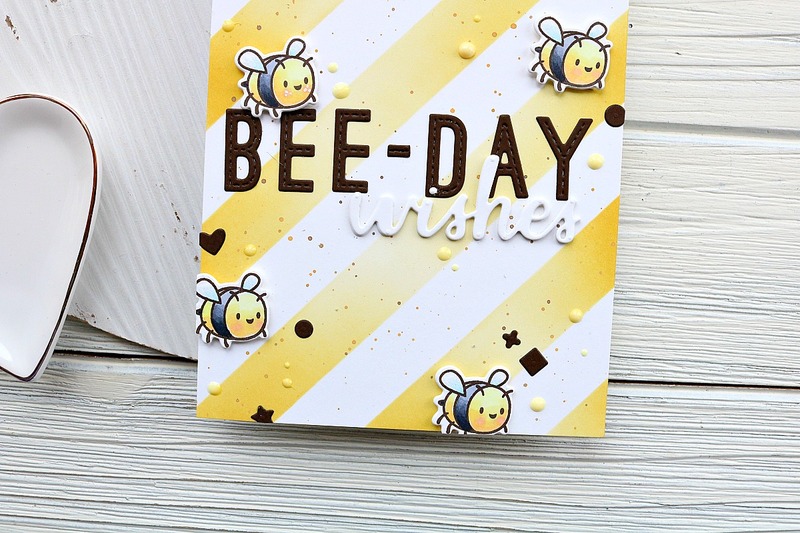 I’m back today to share a card that I made for the Your Next Stamp challenge #105. Today’s challenge theme was “let’s see smiles.” Isn’t that a fun theme to create around?? Here’s what I came up with.. I created a Distress Oxide ink background by blending Worn Lipstick and Festive Berries over the surface of an A2 size card panel. Then I took a stripe stencil and laid it on top of the inked piece, and sprayed my water bottle over it. I love how this added some distressed looking stripes. I also splattered Festive Berries, Aged Mahogany and an opaque white paint over it for texture. I due cut one of the So Many Squares dies from white card stock and adhered it over the top of my distressed panel. Next I stamped out the cute food from Carnival Food Fun, and colored them in with my Copic markers. They were die cut using the coordinating dies, and I popped them on with adhesive, only using foam tape on the popcorn. When I stamped out the glasses I wanted them to be those 3D glasses that you used to get back in the day, so I colored one lens red and one blue! I think these goofy little characters would make anyone smile! To finish off the card I heat embossed the sentiment from the set on some black paper and trimmed it down. 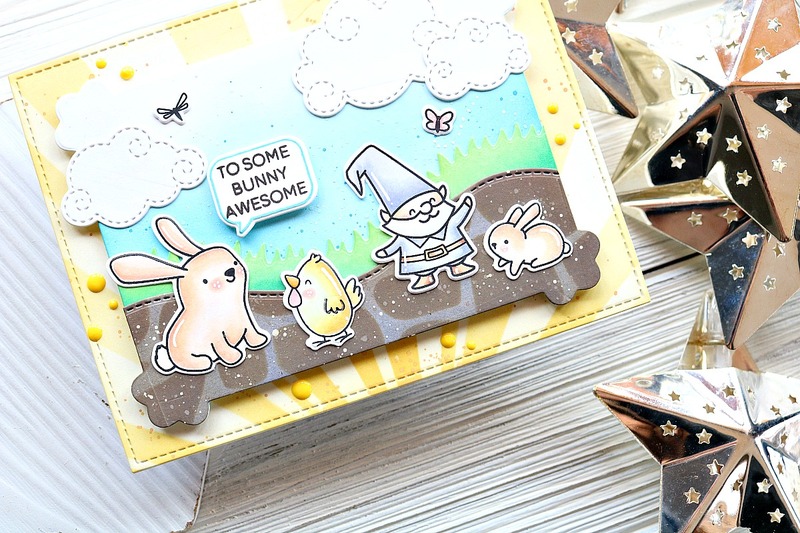 I also used foam tape to adhere this to the card. And then my card was complete! 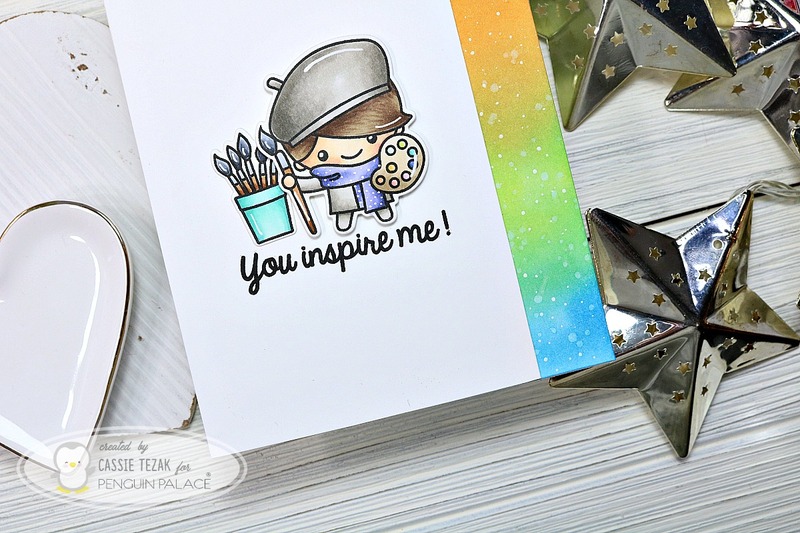 Be sure to head over to the Your Next Stamp blog and see the rest of the team’s cards and inspiration. Don’t forget to leave a comment over there to enter yourself for a chance to win a prize! Thanks so much for stopping by and I’ll see you again with another card soon! Previous I’ve Got Somefin to Say! Next Craftin’ Desert Diva New Release!